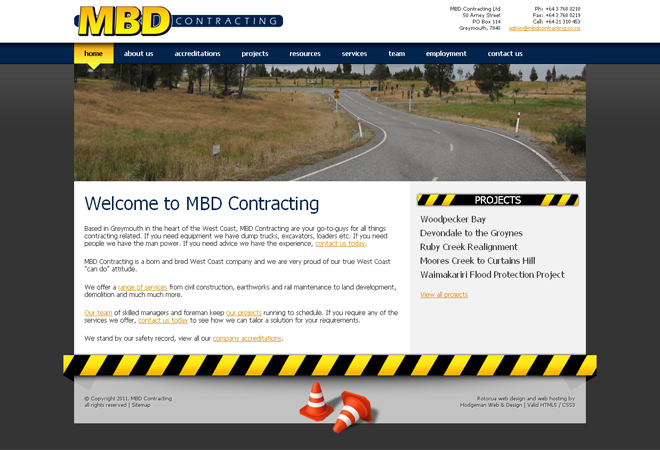 The owners of MBD Contracting contacted us wanting a clean, professional website to showcase their leading contracting services. After consultation, we came up with this design which captures the essence of their business and portrays it in a modern, easily digestible way. The designed and coded into modern HTML5 / CSS3 then converted into a WordPress theme, which is the content management system (CMS) that is powering the website. If you like look of this and require a new website for yourself or your business, contact us today to discuss your project with us.